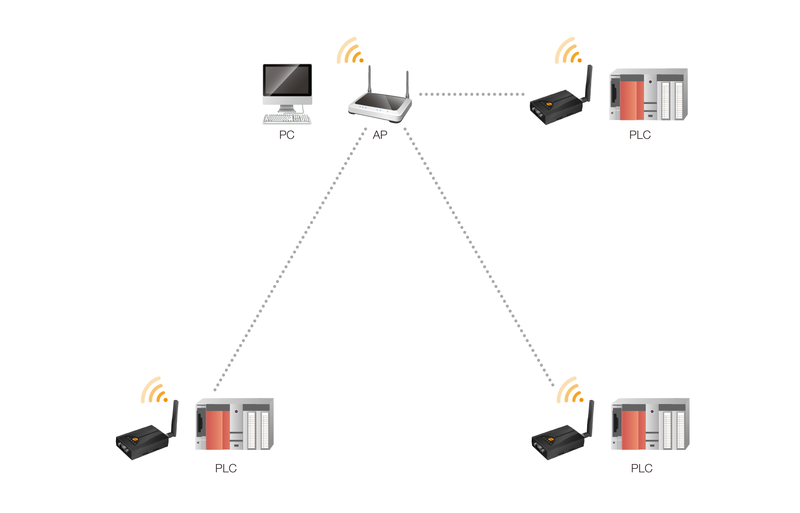 Download PLC program or transmit PLC data wirelessly for real-time management. Sollae Systems’ serial WLAN device server provides seamless wireless network connectivity to your PLC (Programmable Logic Controller) enabling you to download a program or related data via Wireless LAN. As well as keeping you free from unnecessary wiring, it benefits you from cutting cost for extra installation of communication line and system extension. Consequently, altering a communication method to wireless LAN allows you to improve management efficiency of PLCs through real-time control and monitoring in a remote site.